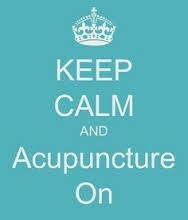 No matter what their age or occupation, people of every description come to me for acupunture treatment. They come to me to feel better. They come here because they are in pain or because they suffer from allergies, insomnia, migraine headaches or hot flashes; they come for acupuncture because they are undergoing chemotherapy and need to get rid of their nausea or because the cancer has left them feeling hopeless; they come because they want to look more youthful; they come because they want to get pregnant and all of their efforts have failed—and there are some who come for acupuncture because they don’t feel happy and they need relief. 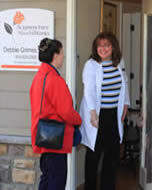 I offer gentle, effective treatment done with care, experience and confidentiality. My clients come for relief and they come back because they get results! I trained in Traditional Chinese Medicine (TCM), as well as Five Element and Japanese Style Acupuncture, so I bring the best of many styles to your treatment. I treat the way I like to be treated…professionally, gently, attentively, intelligently. Give me a call and let’s discuss how I can help you. They come back because they receive real help. Using the sensitive and gentle Japanese style, with attention to the whole patient and their emotional well-being as emphasized by Five Element style, along with many of the philosophical principles of TCM…I am equipped with the tools to help you get results RIGHT NOW! While patient confidentiality is fundamental to my practice, some of my acupuncture clients offered to help with the development of this web site by generously volunteering to let me take and include their photographs so that potential new clients might be able to obtain a clearer picture of what I do. I want to express my heartfelt gratitude for their help.